Punchbowl's hidden gem! This adorable boutique building is nestled on the slopes of Punchbowl in a neighborhood of charming single family plantation style homes and rainbow shower trees. Proximity to Queen's Hospital, Straub, UH and downtown make it the perfect home for someone who hates to commute! Recently remodeled with designer touches and newer appliances. Enjoy the downtown nightlife or short ride into Waikiki, Kaka'ako or Ala Moana. Beautiful swimming pool with view, garden with BBQ area and picnic tables. Laundry room on every floor. Everything you need for the carefree Hawaiian lifestyle is here! OPEN Sunday, September 10th 2-5PM. 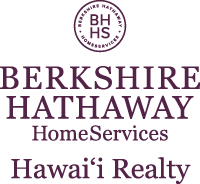 I am interested in 1619 Kamamalu Avenue UNIT 201, Honolulu, HI 96813. Sign up for Inside AccessTM to view recent sales near 1619 Kamamalu Avenue UNIT 201.